Manchester United midfielder Juan Mata, thanking Chelsea fans after the two teams met in the Premier League at Stamford Bridge Stadium, Sunday (02/07/2016). Because, when he pulled out in injury time, Mata received the applause of supporters of the Blues. Player’s Spanish nationality indeed ever uniformed Chelsea for 2.5 years. After the match, Mata also mentioned that the Stamford Bridge is a special place for him. 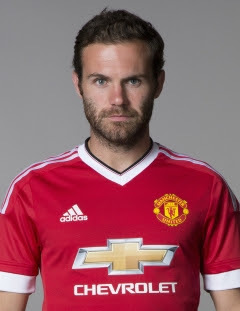 Mata said that there was a distinct feeling that day. He should say thanks to deep welcome from Chelsea fans and applause when he pulled out. Mata also said that when the referee blew the whistle to kick-off, he wondered about the target to win and put all his abilities to help his team. The match ended with the score 1-1. This becomes the second time United failed to win the last three matches in the league. On that basis, Mata ask his teammates to boost the performance. Next, United will travel to Sunderland headquarters, February 13, 2016, and host Arsenal, February 28, 2016. Mata said that he believed this could be a way to achieve a series of positive results in the next few weeks. This team has shown more determination and confidence. Now, United is still stuck in fifth position with a collection of 41 points from 25 matches. There are six points that separated with Manchester City as the fourth ranked occupants.